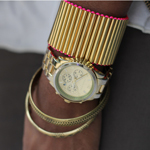 We saw hints of the gold hardware during the Spring Fashion Week, and it really packed a punch during the Fall Shows….so of course I had to grab some chain from Mood Fabrics and make a little something of my own. 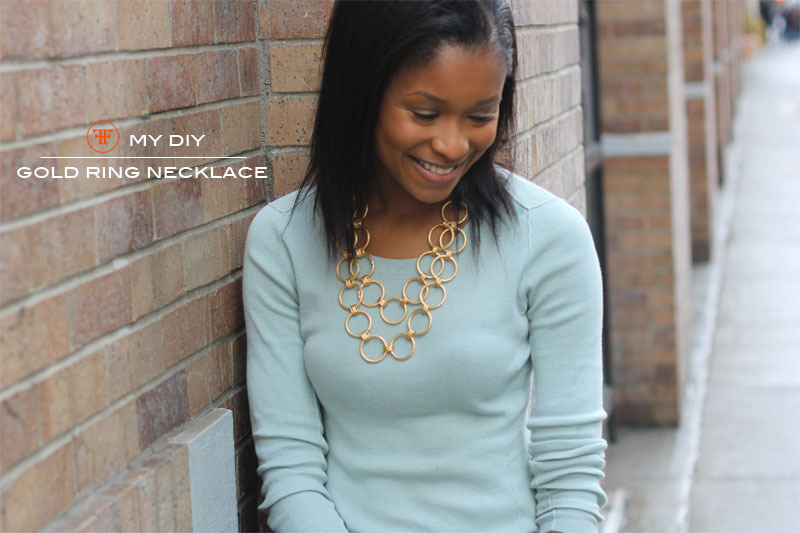 Whether you use remnants from an old tshirt or synthetic leather cord like I did here….this necklace may be easy to construct, but speaks volumes in the bling department! 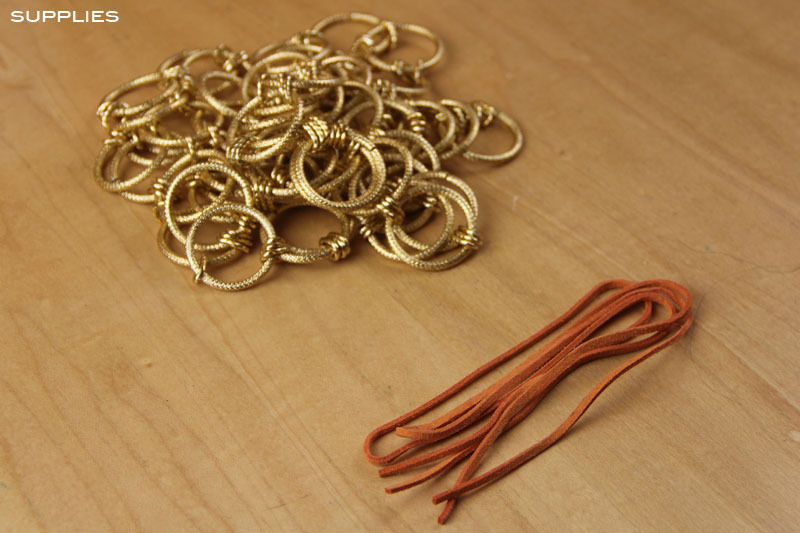 SUPPLIES: gold ring chain from Mood, and synthetic leather cord. 1. 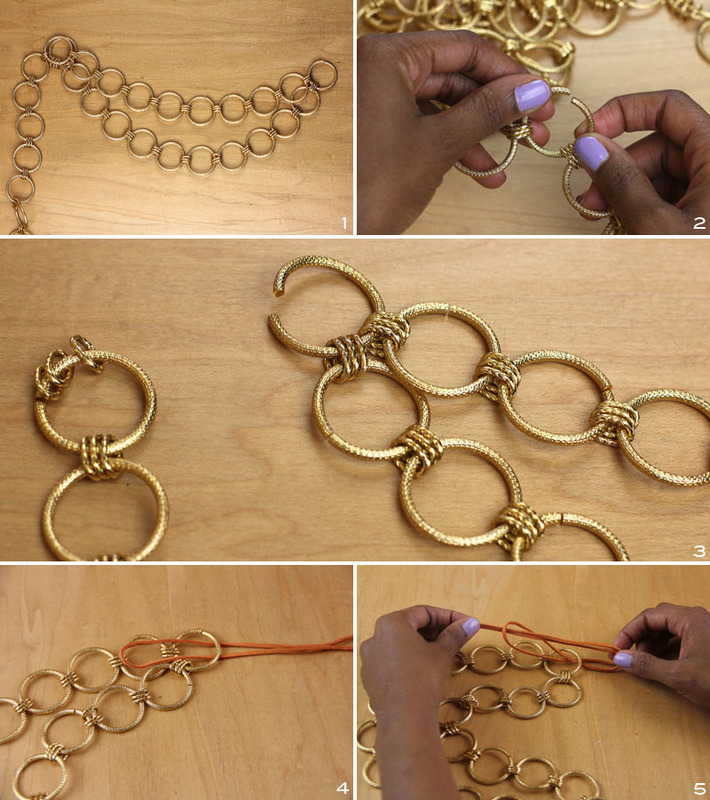 With the two layers, maneuver chain around to decide how you want your necklace to drape. 2. Pry open the ring. 3. Remove excess rings, and reattach it to the main part of your necklace (so, now you have a complete circle). 4. 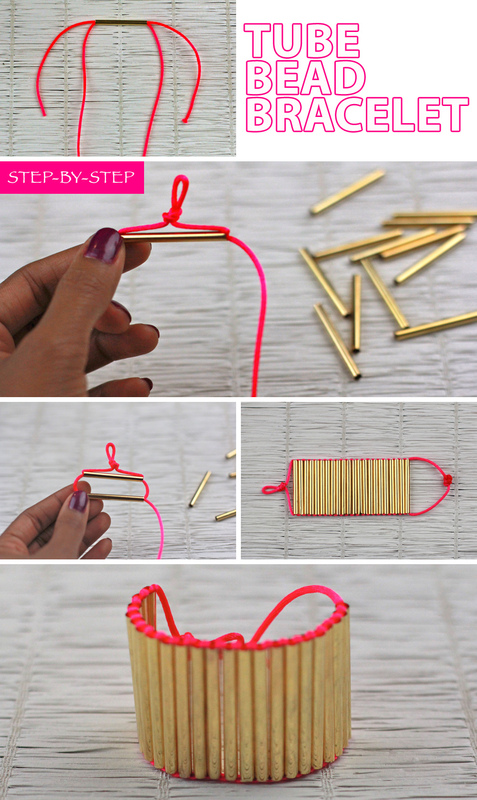 Take your first piece of cord and fold it in half. Place the loop that is now formed at the bottom, through your gold ring that is your anchor point. 5. Slip loose ends of cord through the loop and pull tight. Repeat of opposite side.